AFTER Sinulog, tour operators in Cebu are hoping for a banner Lunar New Year holiday in terms of tourism and sales, as they expect more Chinese guests to arrive in Cebu for the Chinese New Year (CNY). Cebu Alliance of Tour Operations Specialists (Catos) president Alice Queblatin said they expect charter flights from China to Cebu starting next week to be mounted by airlines such as Philippine Airlines, Cebu Pacific, Eva Air and China Southern averaging three times a week. These cover the routes Cebu-Taipei, Nanjing, Wenzhou, Hangzhou, and Chengdu. CNY charters, according to Queblatin, start from Jan. 31 all the way through Feb. 19. A chartered flight is an unscheduled flight that is not part of a regular airline routing. Queblatin though is yet to determine the number of guests arriving for CNY this year, as it will depend on the aircraft that these airlines will use. Average daily seats during the CNY period last year, which fell on Feb. 13 to Feb. 20, was at 3,360 to and from mainland China, Hong Kong and Taipei, according to Avigael Maningo-Ratcliffe of GMR-Megawide Cebu Airport Corp. (GMCAC)’s corporate affairs and branding department. “This year, we are projecting 4,700 seats per day to and from mainland China, HK, Macau and Taipei or a 40 percent increase from last year,” she said. CNY 2019 falls on Feb. 5 and the festival will last for 15 days or until Feb. 19. The year 2019 is the Year of the Pig, according to the Chinese zodiac. Queblatin said Chinese guests arriving through chartered flights are mainly handled by Chinese travel agents with Manila tour operators. Cebu, she said, stands to benefit from this large volume of foreign guests, as their standard itineraries focus on island hopping in the southern areas of Cebu such as Oslob, Moalboal, Alegria, Badian and a countryside day tour to Bohol. In Cebu, Queblatin said they usually go for whale watching, snorkeling, sardine run, waterfall tours and other adventure activities. 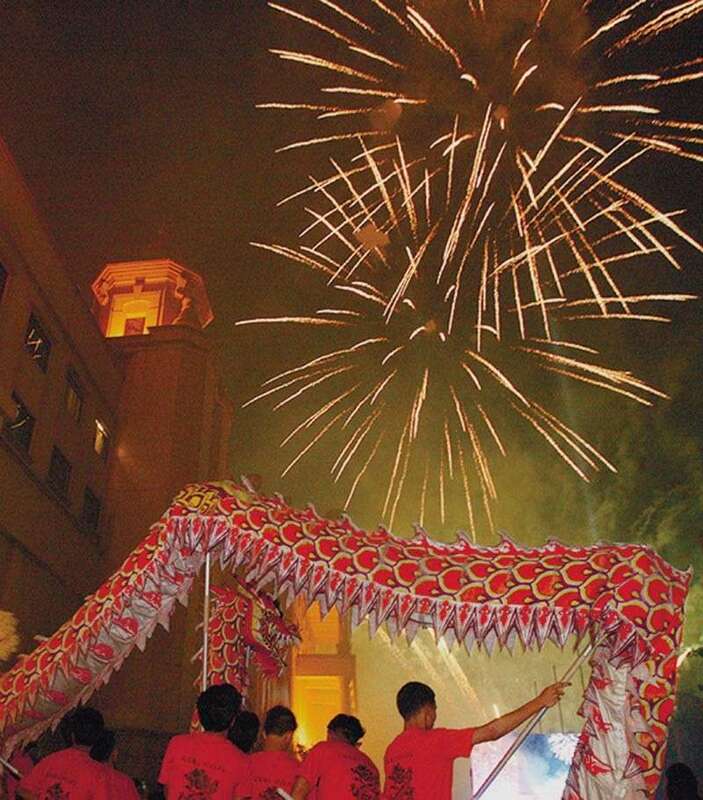 Last year, more than 6.5 million Chinese traveled abroad during the Lunar New Year holiday. According to China’s largest online travel agency Ctrip.com International, last year’s Lunar New Year holiday generated US$70.2 billion (RMB 475 billion) in revenue, in China and abroad. With the warm diplomatic ties between China and the Philippines, tourism stakeholders are optimistic many Chinese guests will pick the Philippines as one of their destinations for CNY. The Philippines welcomed 1.25 million arrivals from China last year, the most improved market with an impressive 29.62 percent growth rate, according to the Department of Tourism (DOT). Partial data from the DOT 7 showed that arrivals from China in January to February last year stood at 94,220. Early this week, two carriers mounted flights from Guangzhou and Shanghai ahead of the CNY. China Southern Airlines began its maiden flight to Cebu from Guangzhou on Jan 22. The Cebu-Guangzhou route will fly three times a week every Tuesday, Thursday, and Saturday. Another carrier, Juneyao Airlines, also launched its thrice weekly Cebu-Shanghai flight on Jan. 24. It flies every Tuesday, Thursday and Saturday. Cebu is connected to seven destinations in mainland China namely, Shanghai, Guangzhou, Chongqing, Fuzhou, Xiamen, Kunming and Shenzhen.